Nestled in the forest, Burg Eltz (Eltz Castle) is a medival castle built in the 12th century in Germany. 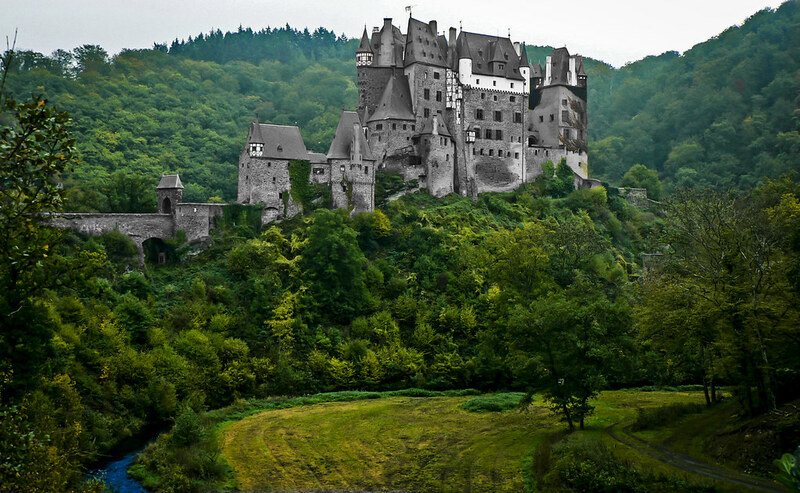 Today, it still belongs to the Eltz family, who originally constructed the castle. From 1965 up to 1992, a picture of the castle appeared on the 500 Deutsche Mark note. One third of the castle is occupied by the Kempenich family and is not open to public. However, the other two thirds are and visitors can come between from April until November 1st to explore the magnificence of the structure.